The conference will include two parallel tracks: talks and workshops. All talks and workshops will be delivered in English, without simultaneous interpretation into Russian. At Cloudflare, we rely heavily on OpenResty (nginx+Lua+libraries) for our edge servers and ensuring a predictable performance is critical. Offloading some complex parts of the processing outside of the event loop is therefore necessary and was usually done by writing microservices. We tried another approach leveraging the nginx thread pool feature. In this talk I will go in detail about the the challenges and results of taking core security features out of the event loop. How we write code comfortably with linting. What tools we use for debugging and testing. How we manage documentation and packaging conveniently. And, more importantly, what features we lack. and assembler preprocessor in Lua. The original preprocessor works only with C/Assembler sources. And there is a fork by luapower which can preprocess Lua files with Assembler code generators. There is a case when we want to use logic from user input. Let's research this toolset and make a simple s-expression compiler. The main question is «How comfortable it is to make a compiler for user input». demonstrate our progress in solving this task. A bonus talk by Roberto. At first look, Tarantool is a database. And it's rather hard to see the whole potential of this product as an application server. I will help you unlock this potential: how to use the built-in LuaJIT server with sockets, fibers, channels, ffi and many more. How to make code reloadable on the fly. These topics will be discussed step by step on the example of building the queue server as a sample application. Admission is free, but don’t forget to get registered. Location: Mail.ru Group office, Moscow, Leningradsky prospekt 39, bld. 79. 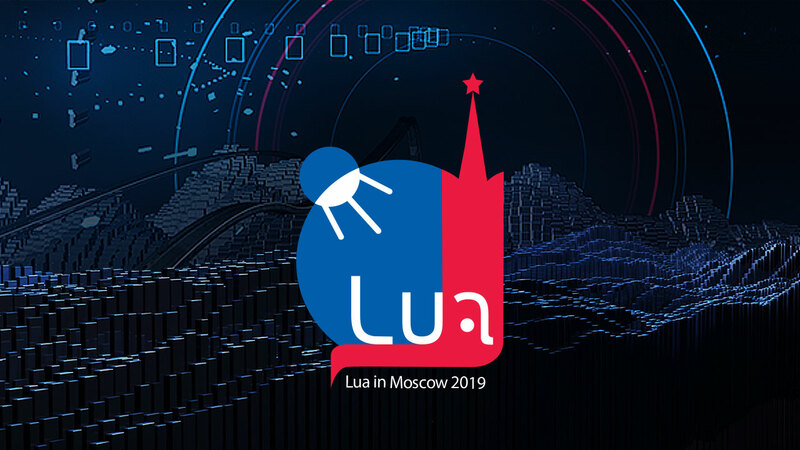 We look forward to meeting you at Lua in Moscow 2019! Live from Lua in Moscow 2019 conference. Roberto Ierusalimschy speaking now.